Display case upgrade – How Do You Figure? She’d be lonely there by herself, so this obviously calls for a Rin having her own posse. The only one missing from the group at the moment is Figma Rin, though the jury is still out on whether or not she will join the others in the cabinet. Of course, Rin isn’t the only one with a new home. Since I was also running low on space on the manga shelf, I relocated most of the figures from the top shelf to the new cabinets. 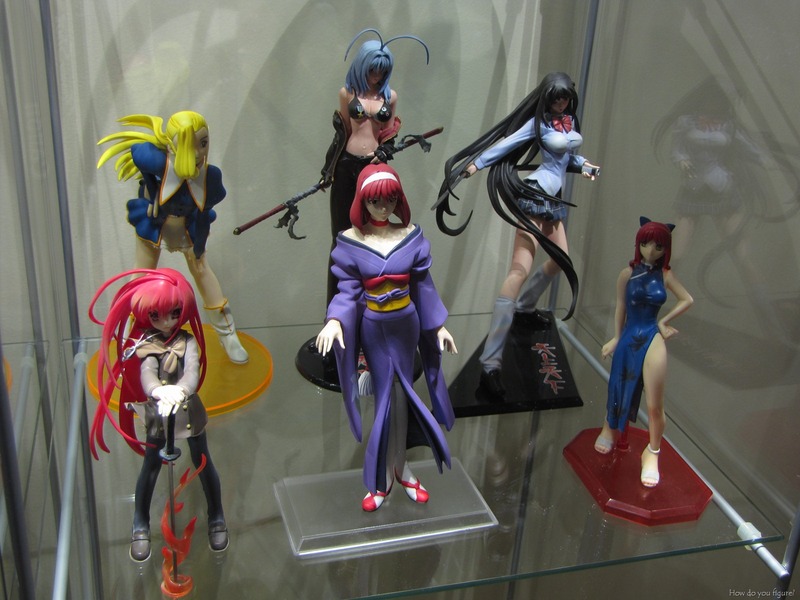 I’d also transferred Yoko and a few of the swimsuit collection inside for display. I should post my own display case someday. The newest addition yesterday is the only none anime figure in there: it’s a perfectly dried out dragon fly that flew into my apt and died for me in the most prettiest way. Yes, I was amazed when I got her in a few weeks ago. I’d always known Dollfies were large, but didn’t realize they stood about 60cm tall. 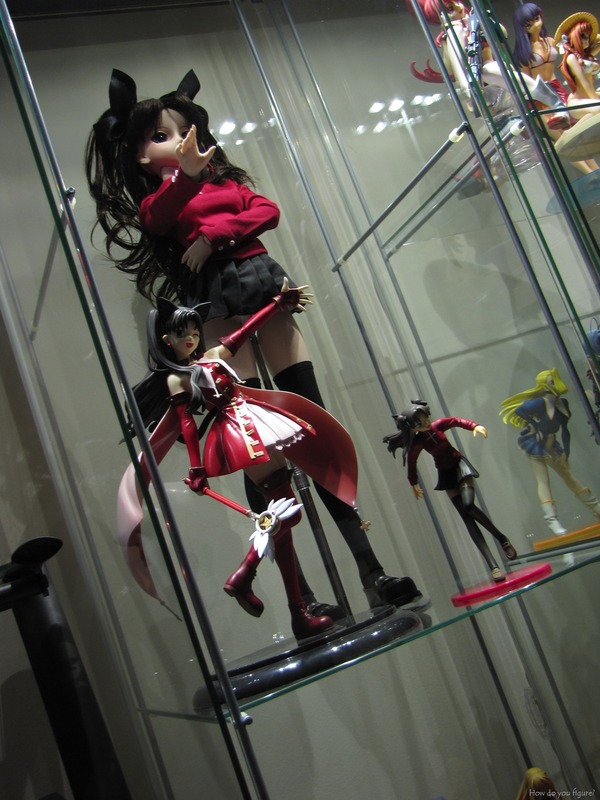 In comparison, the medium sized Rin standing in front of her is a 1/6 scale and the “little” one is either 1/8 or 1/10 (can’t remember which). So very true! I adore Kannazuki No Miko (got me into yuri together with Marimite) but there’s just no even remotely decent figure of this series at all. 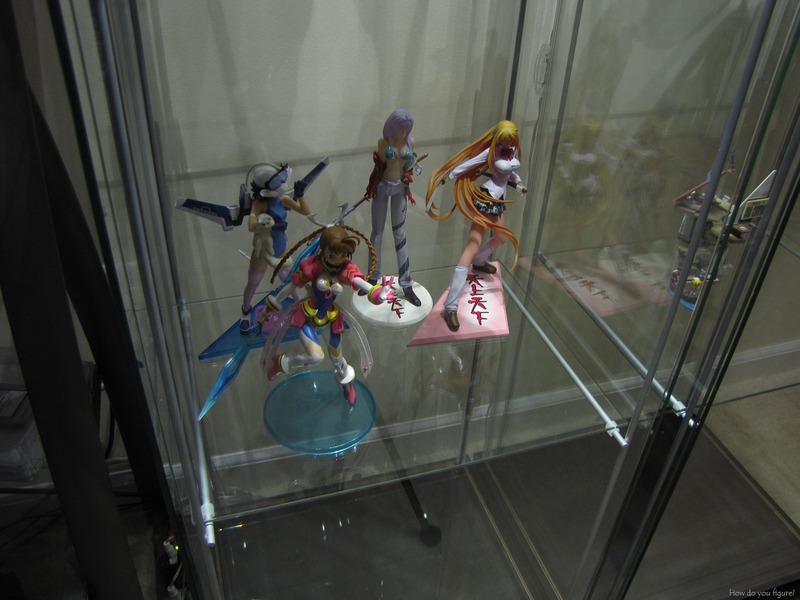 O wow you had to take off one of the shelf in the detolf, eh? What’s her height? Dollfies are 60cm tall. They are rather large creatures! It seems your display case still have room to grow. LOL I’m pretty sure it is a good investment for you.